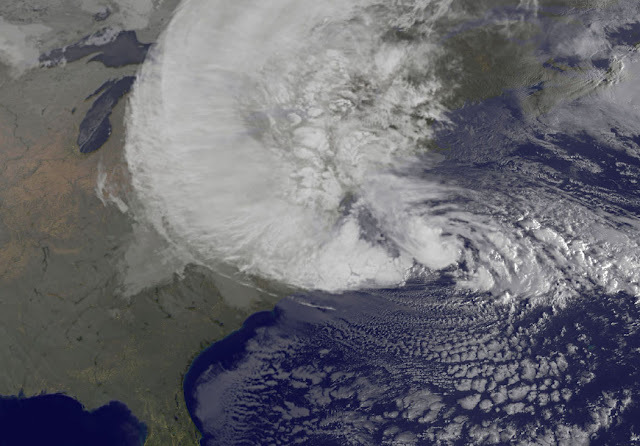 As most of you are aware, Hurricane Sandy has caused a lot of damage on the east coast. My thoughts go out to those who have not faired well, are out of resources, or have lost their homes. Currently, my neighborhood is without power (and have been for about 4-5 days), but thankfully my house still has gas. I have been staying at my relative's home, not too far away, where there is power, heat, and electricity so I'm thankful my situation isn't so bad. There have been problems concerning travel/commuting and stations running out of gas. I had friends who had to wait 3+ hours in line just to fill up their tanks. Despite how bad things are, I'm glad to see people working together in trying to restore everything as quickly as possible. I just hope the next storm coming up soon doesn't set us back. To my fellow New Yorkers (and east coasters), I hope you are all doing well and are safe! 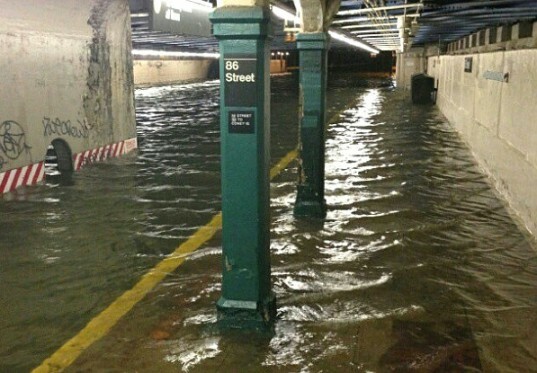 Hurricane Sandy is my least favorite thing of 2012. I am still without power. I am glad you are safe though! I'm glad you're safe and well! (I love having gas) and what a crazy pic of ground zero!! I hope you are staying safe! We have been thinking of you guys! Can't believe what Sandy did to NY and NJ...just awful! I still can't believe this happened...like it's photoshopped. just devastated. luckily my family is ok.
Hi dear, happy to hear that you are safe but so sad for all the devastation and damages in the city. It must be truly a difficult time, my thoughts and prayers are with you all. yes it was horrible to hear about this i have friends and family on the east coast and luckily looks like everyone was safe! Have been thinking of all you, living over there. So glad that you are staying with your relatives and hope that the power will be back on soon, so you can live back home. Yikes, I've been cringing every time I hear hurricane horror stories. It sounds like a freaking nightmare. And it makes me depressed to realize how many billions of dollars of damage was done. As if our country wasn't suffering financially enough. Sigh. I'm glad you're safe though. That's the most important thing! I've seen the Ground Zero photo, and it was just terrible. I hope everyone that was affected is safe now! So glad you are safe. I shudder to think of the aftermath. What is our world coming to? I'm happy to know you're doing well. Have a great weekend!!!! So much devastation! Glad to hear you are doing okay! i'm glad that you're safe hope the electricity will be back on immediately! So devastating! Glad you and your family are ok.
OMg this is so crazy! Glad you are ok and my heart goes out to those who are still in trouble! wow.. this looks horrible. It was pretty bad in Toronto too but during all of this I was oversea in Europe.. lucky me. but best of luck to you and all your friends family in new york! Check out my TRUNK SHOW AND GIVEAWAY this week to help support HURRICANE SANDY VICTIMS!! I'm glad you are alright! Don't you wanna join my give-away? It's international and 100% free. Good to hear you're alright! Really feeling for everything on the East Coast! Those picture showing the damage and destruction really shocked me. Anyhow, it sounds like there are pro's on top of everything and I'm glad you're safe. Very frighting how this hurricane really hurt NY! I saw what happened on the news, so glad that everything is going back to normal again. omg! i saw it in the news so sad, i wish they get their lives together again and those who lost their lives may their souls RIP. I'm glad you're safe and have a place to stay. I hope you've got your power on by now. Thanks for that link..we could all use a bit of humor about now. Glad to hear you're safe! The photos really show the damage and is so sad that people have lost lives and homes. So glad to know that you're okay! Didn't know you were in the middle of it! Really glad that you're safe, take it easy. Thoughts and prayers from all of us at FashionCherry are with all of you on the East Coast. These photos are just devastating! I hope you got power back by now. My thoughts and prayers go out to you and everyone on the east coast. Sad to see these images..... Our prayers with all people affected. Such crazy photos...glad you and your house are OK...and hopefully you will have power back soon! Glad you're ok, and I hope you get power back soon! So much craziness from this storm – my heart goes out to all those suffering from it! I'm glad you're safe, and I hope your power comes back to you soon. My thoughts have been on you east coasters all week! Hopefully now the tri-state area will be better equipped for hurricanes. I grew up in Florida, so I know what it's all about. 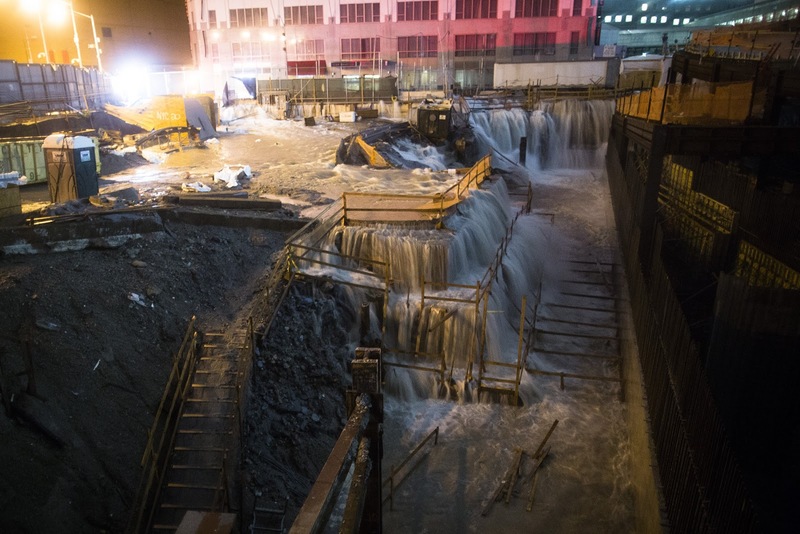 The photo of Ground Zero flooded looks crazy, but at least people have come together. 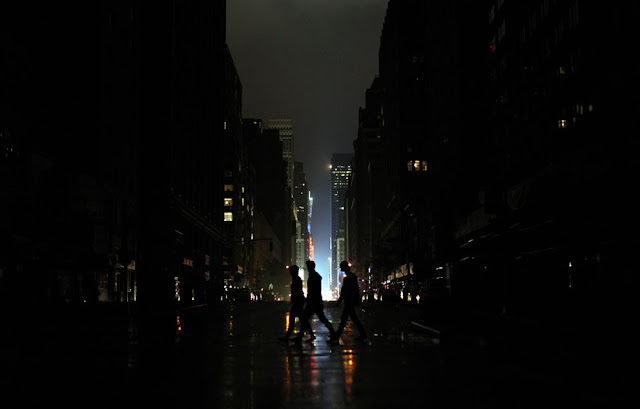 it looks awful, though the pics of the ny in dark and construction site looks neat, but glad you are safe!!! Such a disaster! I really feel bad for NY! I'm glad you're safe ! The situation is so sad, but I am glad to hear that you are ok and have power... My thoughts are with the city and all of those affected as well. glad your fine, best wishes to all east coasters! Wow, glad you're well! Such a scary and un-thought about moment for most everyone...good luck, I hope all is well when you get back home! Audrey, I'm so glad you're safe. I think you don't live too far from my parents as well and I know power has been spotty. My thoughts are with you and hope your power comes back on soon! I just hope everyone is ok! Hope you've got power back now and things are settling down! Audrey, I've been thinking about you! I'm so glad you're safe. I'm glad you're OK! It's so great that you are so positive! I am not looking forward to this next storm supposedly coming. this could be a nightmare!! Glad you are OK and all is well on your end.